Deborah and Payton knew they had a special connection from the moment they met. From having to consistently hold hands or sit hip to hip, these two can no longer stay away from each other. Their parents have made a family joke that they are like a pretzel! You never know whose limb is whose with them. 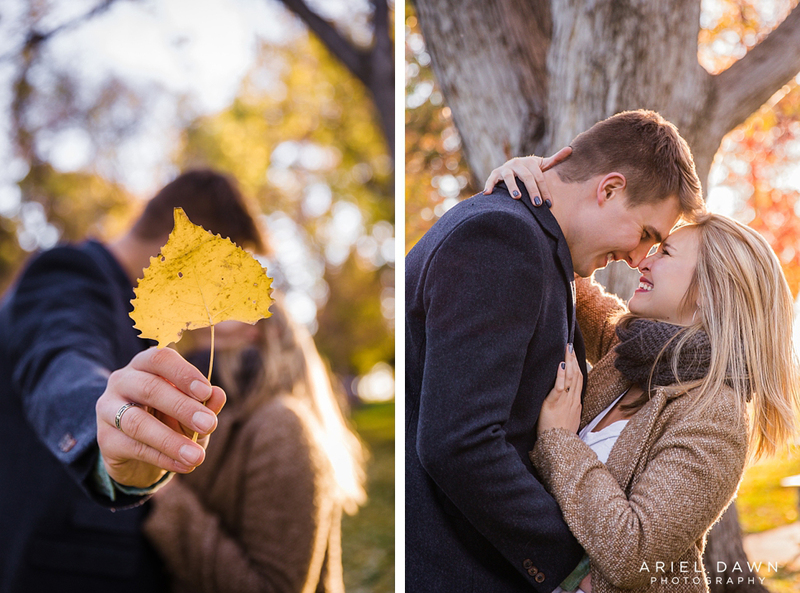 You can see their ever growing love for each other in each photo I took during their engagement session. We went to each sentimental spot where their relationship had a milestone, from the spot where Deborah confessed her fondness for Payton to where Payton proposed. 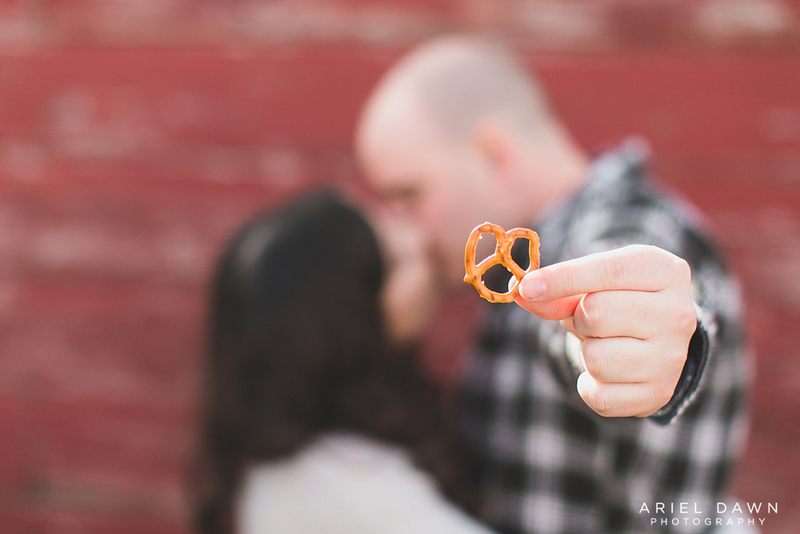 I can't wait to see them get hitched on their wedding day, July 2nd and have them official become pretzel! Payton picked out the most perfect engagement ring! and it looks pretty great next to pinecones too. 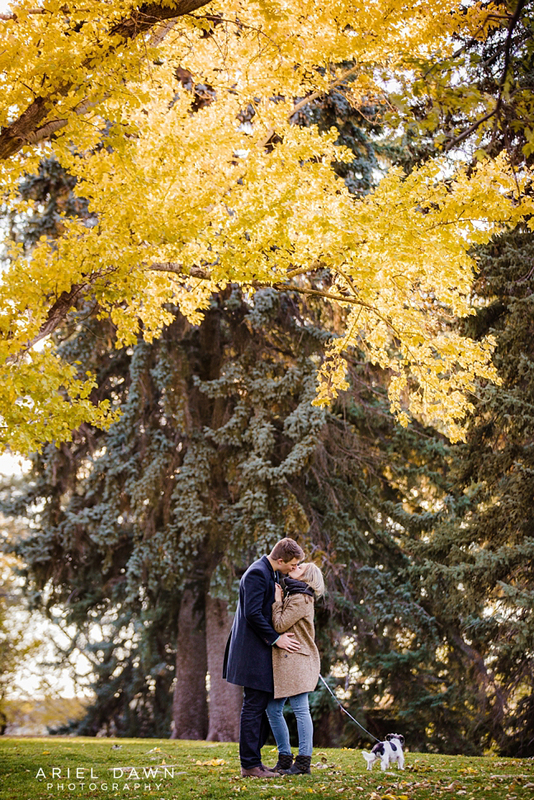 How fun is it when an engaged couple brings funiture to their outdoor engagement session! I especially love this vintage red chair!!! 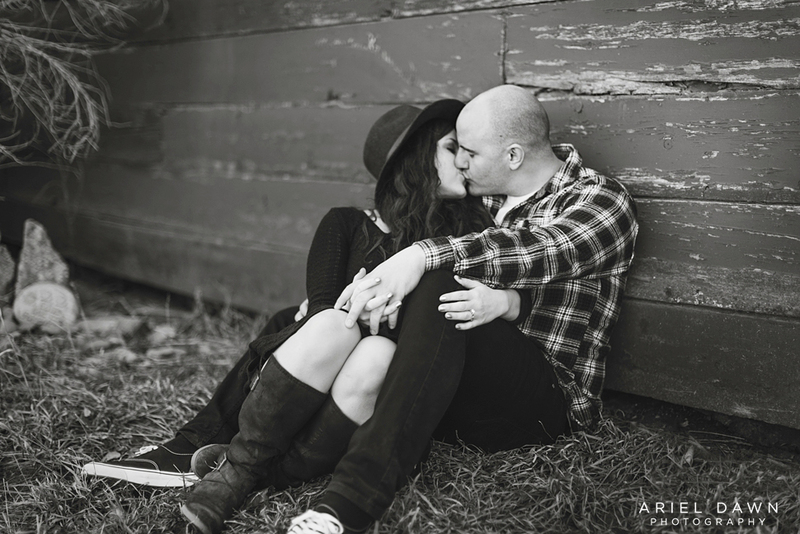 Deborah looked exceptionally beautiful in her black dress during their engagement session. We felt like she needed a little color on her though, so she borrowed the purple fedora hat I was wearing! It definitely looks better on her. As I took this beautiful engaged couple around the town we found this awesome red wall! 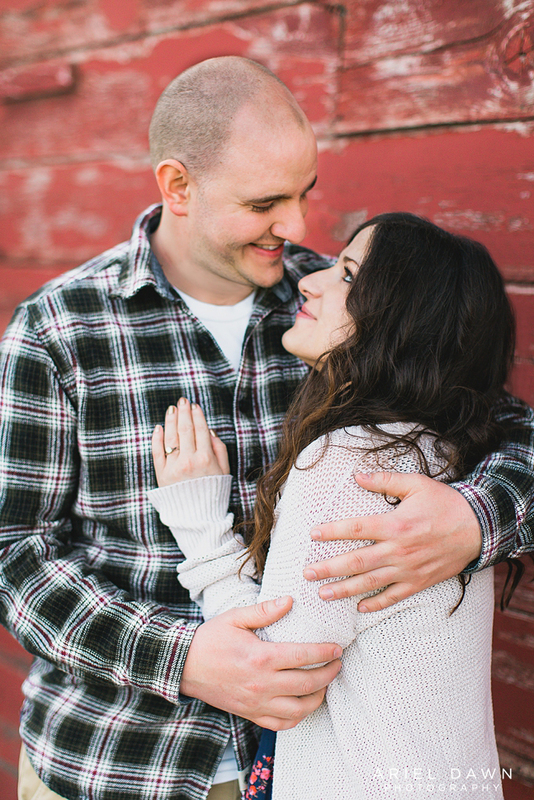 Flowers and plaid at your engagement session? Count me in!!! This cute smiling bride to be! You can definitely tell they are completly smitten with each other! 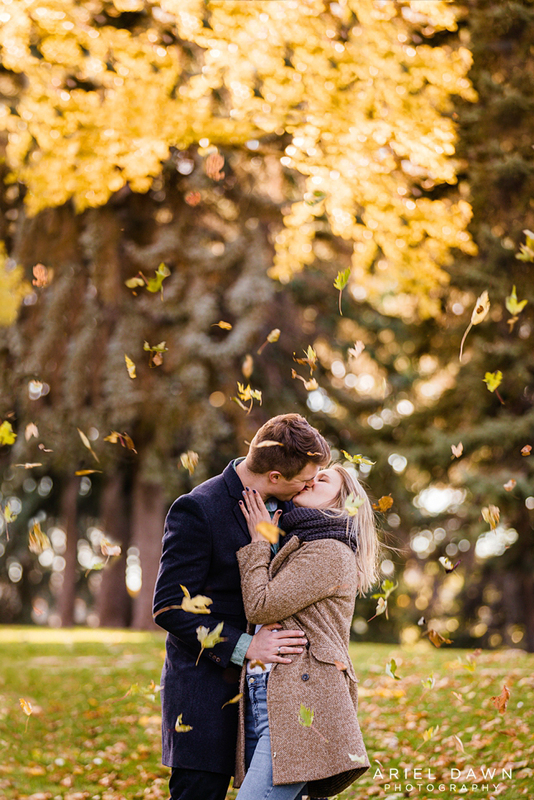 Courtney and Matt live in Reno, Nevada at the moment, and contacted me about doing an engagement session at Matt's family ranch in Fairfield Montana during their visit. The property is a very 'rustic' setting, with barns, fields, mountain background and even a farm cat. Any cowboy's dream place to be. 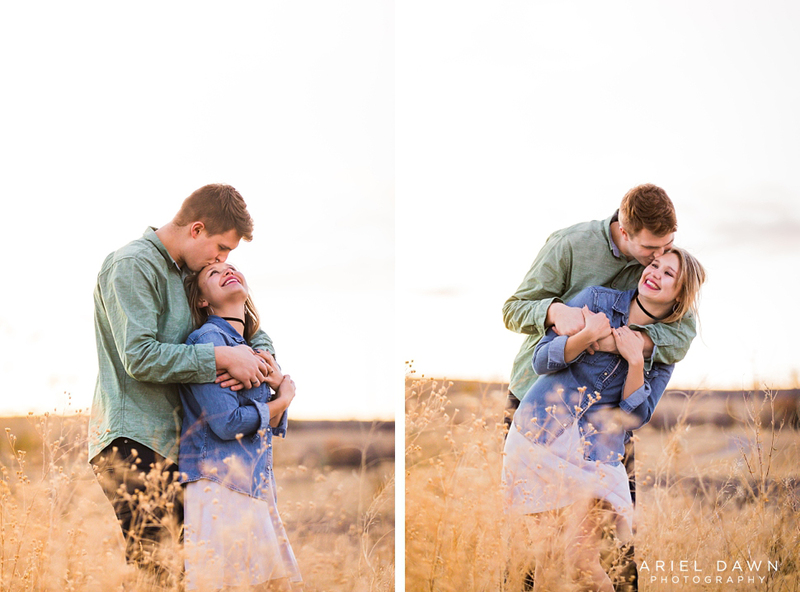 We met a little before sunset to capture their love under the beautiful big sky of Montana. 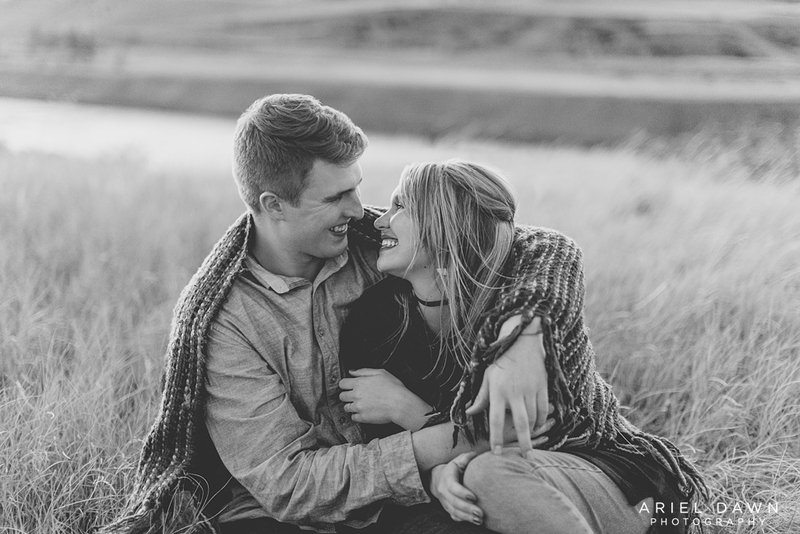 Their session was full of laughs, and cowboy boots. Congrats to this fantastic couple.